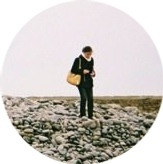 Today I'm experimenting with putting together a roundup post for all those scattered thoughts I have throughout the week about things I'd like to share, but that don't quite warrant their own post. I won't be on an actual weekly schedule until after my upcoming trip though, so the next post in this series might not appear until mid-May. This week, I encountered quite a few articles about personal finance, with a particular focus on lifestyle choices and the meaning of living within one's means. 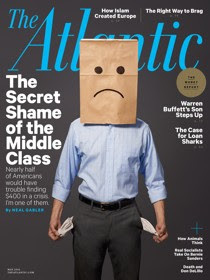 I'm mainly talking about Neil Gabler's article in The Atlantic about "The Secret Shame of Middle Class Americans" that still live paycheck to paycheck. The long story short is this: most Americans would not be able to readily scrape together $400 in the event of an emergency, author included. The author is, frankly, not sympathetic due to the sheer lack of wisdom behind many of his choices: paying for both daughters' weddings (once by draining a 401k), owning a property in Brooklyn at one point and private school for the kids back then, and wanting to pay for both daughters' undergraduate and graduate educations (possibly in full) including for one daughter at Stanford and then Harvard Medical, though the grandparents ultimately stepped in and drained their savings. All this while being unable to, at times, pay his taxes or even cover the cost of heating oil without a loan from said daughters. Besides noting that the article is a major cautionary tale about not living beyond one's means, I don't have too much else to say. That is, outside of the sobering thought that even a financially responsible average American is maybe only ever one hospital stay away from seriously dire straits, even with health insurance. I also encountered a few pieces this week about spending and financial lifestyle choices for people who are rather more on top of things: Esquire did an interesting piece where four men at four different income levels described their general financial picture and goals. The millionaire tech startup CEO is very down to earth: his next goal, in a context where he is already set in terms of college savings for the kids and other goals, is to help his parents retire. My college's alumni Facebook group was discussing this piece and was wondering how one about women would look. The closest thing I know of is Refinery 29's Money Diary series, inspired by a New York Magazine piece from 2007, but the Refinery 29 ones are significantly less educational because they only provide a snapshot of a week's spending and don't provide sufficient other detail's about the subject's financial state. At times, the numbers Refinery 29 does provide don't seem to fully add up. Another alum also recommended this piece discussing financial anxiety from The Toast, but that didn't interest me as much because I like thinking about the numbers more than anything else. Did you encounter that Atlantic piece this week? What did you think?